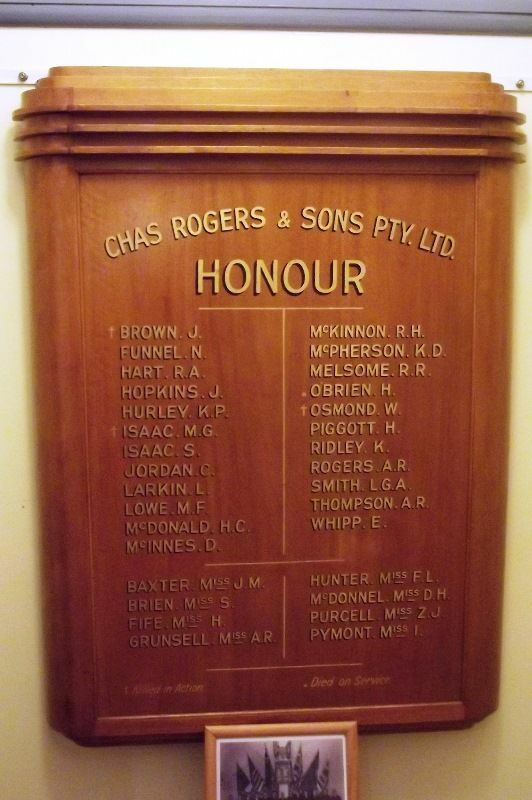 An honour roll commemorates men and women from Chas Rogers and Sons who served in World War Two. Chas Rogers & Sons Pty. Ltd.